November | 2013 | What is ML Reading? 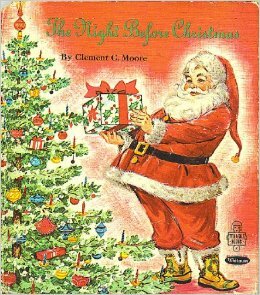 Starting December 1st, ML and I read a Christmas book each evening until Christmas Day. Sometimes we read more than one. 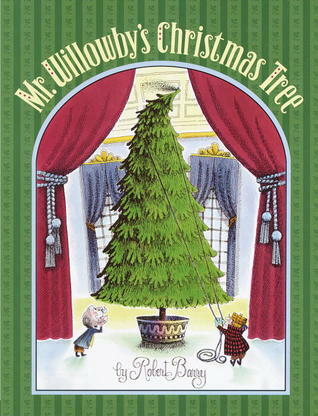 My favorite Christmas book was given to me by my aunt and uncle when I was five years old… Mr. Willowby’s Christmas Tree by Robert Barry It was the Weekly Reader version and I still have it. The illustrations are black and white. 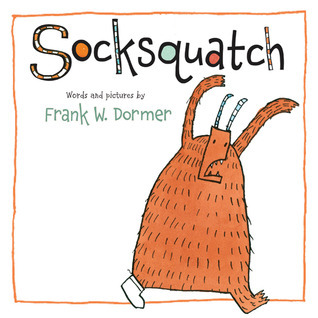 Released again in 2000 with color added to the illustrations. I couldn’t resist another copy. ML prefers the newer copy, but I’m attached to my childhood version. Below is our version of an advent calendar. 24 books to read before Christmas. I’ll start with the most delicate books. 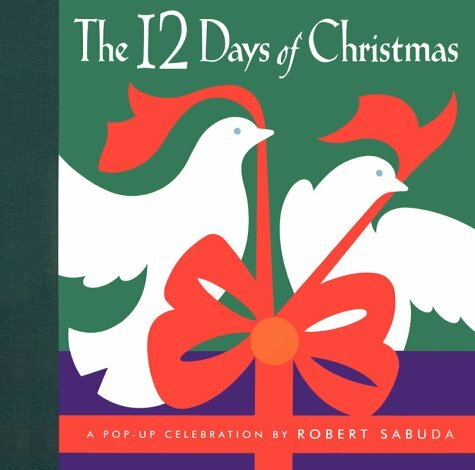 ML loves the holiday books by Robert Sabuda. We own three. 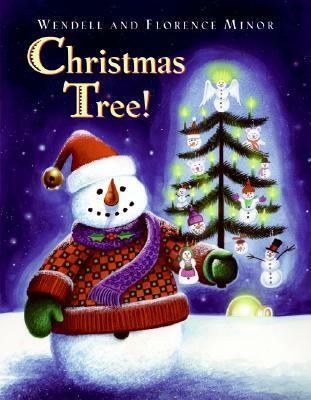 The Night Before Christmas, The Twelve Days of Christmas and The Christmas Alphabet. ML loves to sing so The Twelve Days of Christmas is her favorite. We’ll read it most nights between now and Christmas. Also, throughout the year. Note: When I say delicate, I mean delicate. ML wasn’t aloud to open the pages by herself until last year. 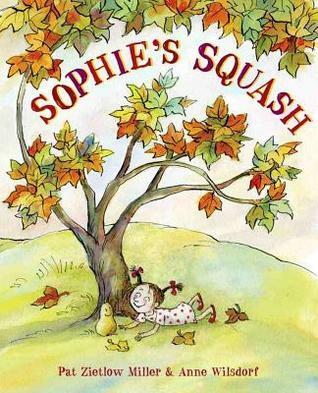 This fall is the first time I’ve allowed her to read these books without adult supervision. 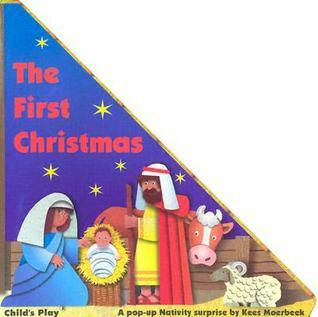 The First Christmas: A Pop-up Nativity Surprise by Kees Moerbeek. To quote the back of the book “turns magically into a traditional nativity scene with additional play figures.” ML is going to decorate her room with it. We have another nativity scene, but I keep it on the mantle. 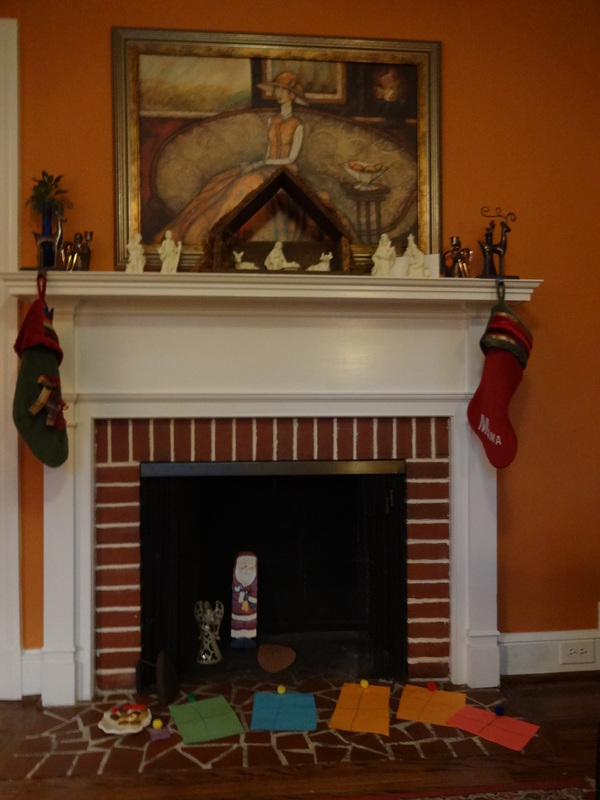 Dad made the creche using old wood at the Brinson Place, the home where my grandmother grew up. Their last name was Veal. Not sure why wasn’t it called the Veal Place? Mom gave me the white porcelain figurines a few years before she passed away. ML’s going to be a little older before she gets to play with these. Or maybe not. There’s always super glue. I’m sure Grandma Nell would have let ML play with them whenever she wanted. 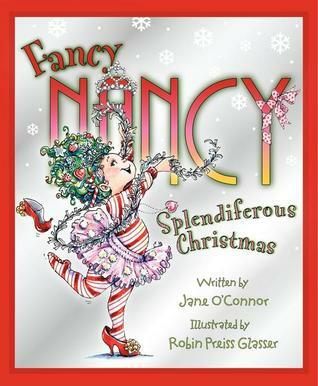 I already did a blog posting about one of ML’s favorites, Fancy Nancy’s Splendiferous Christmas. 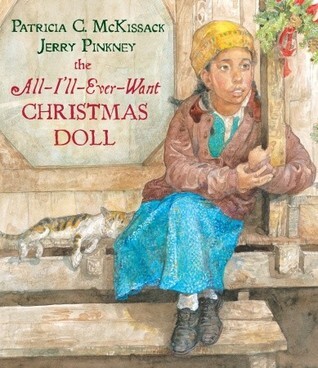 But I can’t write about Christmas Books without mentioning it. For more information on the book check out the previous post – Fancy Nancy’s Splendiferous Christmas. ML’s loves to decorate the Christmas tree. 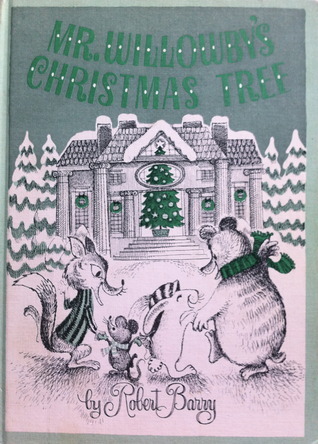 Christmas Trees by Wendell and Florence Minor provides ideas for all sorts of trees. Our tree consists mainly of angel ornaments given to me by my parents and Santa throughout the years. A few shrinky dinks, cross stitch, Santas, snowmen and reindeer. One of the first years ML helped decorate the tree all the ornaments were on the bottom of the tree. My childhood neighbors told me about the time I helped decorate their tree. All the ornaments placed by me were on the bottom of the tree. They left them there. I did the same thing with ML. Last year, my dad and stepmother gave us tickets to the The Nutcracker ballet. ML loved it. I bought her the music and she plays it at least twice a week while dancing around the house. Our copy of The Nutcracker is detailed and didn’t hold her attention last year. I’m hoping this year it will. 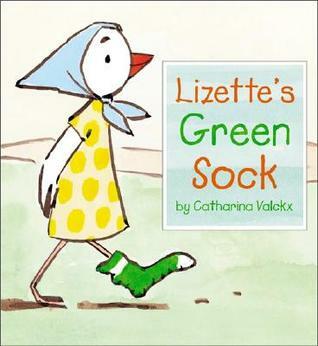 I blogged about Minerva Louise books by Janet Morgan Stoeke in July. Here’s the link if you missed it ML Reads Minerva Louise. 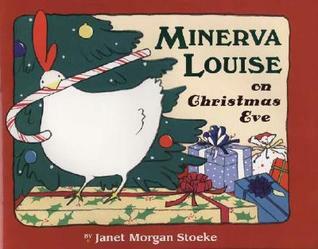 In the Christmas book Minerva Louise on Christmas Eve by Janet Morgan Stoeke, ML’s favorite chicken sees a strange man on the roof. He’s dressed in a red suit. She follows him down the chimney and her adventure begins. 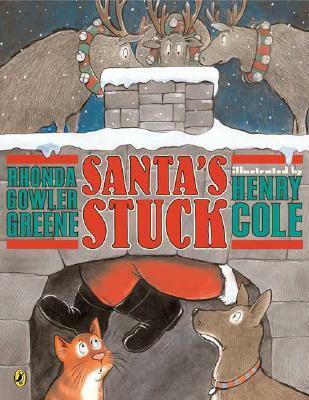 The most clever Christmas book we’ve read is Santa’s Stuck by Rhonda Gowler Greene and illustrated by Henry Cole. In this fun play on the classic fairytale “The Enormous Turnip,”Santa’s eaten too many cookies. He can’t get back up the chimney. Can the animals in the house save the day? I recently discovered Baby Owl. 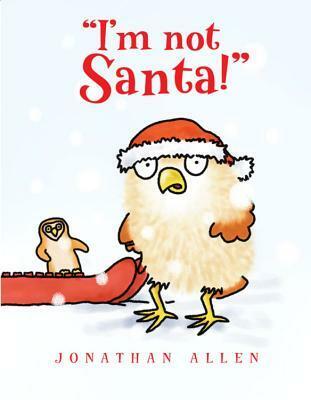 ML’s first introduction to Baby Owl was I’m Not Santa by Jonathan Allen. She loved it. Our library owns 4 other Baby Owl titles. Expect a posting on Jonathan Allen’s Baby Owl books in the New Year. 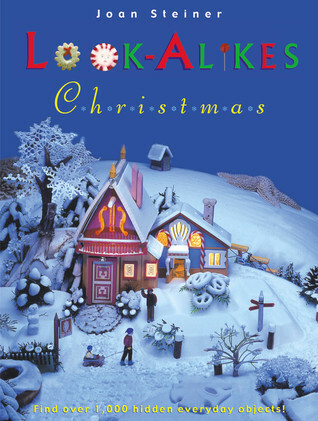 Look-Alikes Christmas by Joan Steiner – ML uses this one as a bedtime staller. Each page has “at least one hundred objects to discover in each scene.” My 40 plus year old eyes aren’t up for the small details at the end of the day. 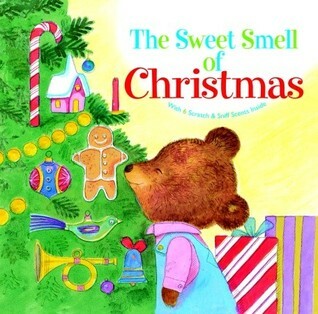 I still have my copy of The Sweet Smells of Christmas by Patricia M. Scarry and illustrated by J.P Miller It’s a little musty. But frighteningly the scratch and sniffs smell as pungent as the day I received it. Over the River and Through the Woods is not a Christmas book. But I treat it as one. My poor family listened to me sing “Over the river and through the woods to grandmothers house we go” at the top of my lungs for 2.5 miles every time we visited my grandparents. As soon as our red Oldsmobile station wagon with fake wood paneling turned onto Hwy 68, I started singing. Unfortunately, I only knew the first line. I haven’t taught ML the song for fear of retribution. This reminds me it’s payback time. One Christmas my brother sang “I Want a Hippopotamus for Christmas” over and over and over. His main mission – to drive me crazy. It almost worked. Time to teach my niece and nephew the song. I’ll be sure to let them know it’s their dad’s favorite. Hopefully, they’ll sing it over and over at the top of their lungs. These titles aren’t new but they are by award-winning authors. I’ve checked them out from the library. It’s been awhile since I’ve read any of them. Looking forward to sharing them with ML. 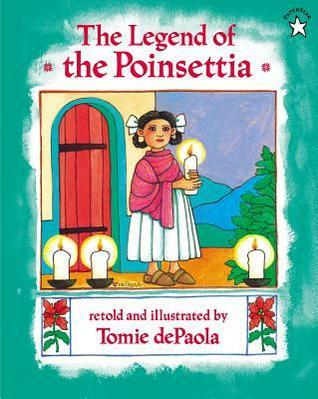 The titles… The Legend of the Poinsettia retold and illustrated by Tomie dePaola, The All-I-Ever Want Christmas Doll by Patricia McKissack and illustrated by Jerry Pinkney, The Christmas Star by Marcus Pfister, and Tacky’s Christmas by Helen Lester and illustrated by Lynn Munsinger. 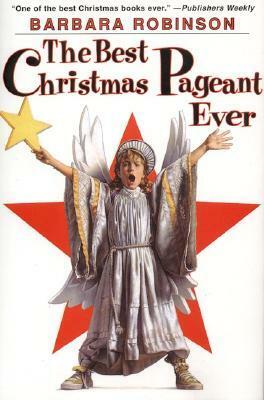 The Best Christmas Pageant Ever by Barbara Robinson is the most touching Christmas book. ML’s attention span is long enough this year. And she has a greater understanding that every child is not as fortunate as her. The author passed away at 85 this July. This book was published in 1972, my birth year. I’m going to make reading this book aloud a Christmas tradition here. Hopefully, when I’m 85, I’ll be reading it to my 51 year-old daughter. Our favorite church service is the Christmas Candlelight Service. In this service, the children choose to be an angel, wise person or shepherd. Halos, crowns and headdress are provided. As each part of the story is told, the children are invited to the front of the church. While the children are gathering, the adults sing Christmas hymns. Then, Mary, Joseph and Baby Jesus enter the sanctuary – a family from the church with a newborn. Afterwards, ML returns to the pew. We light our candles and sing Silent Night. With the help of my friend’s daughter, ML’s been an angel walking to the front of the church since she was two years old. Last year, EJ began middle school. She chose not to participate in the dress up portion of the service. Sadly, I probably only have five more years of ML participating. The subtle illustrations by Jason Crockcrofts and the simple text by Martin Waddell create the perfect read aloud for young to old. 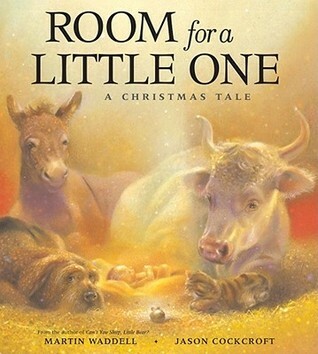 In Room for a Little One, King Ox greets all the animals looking for a place to sleep with “There’s always room for a little one here.” When, Mary and Joseph’s donkey enters the stable, he and Mary and Joseph are invited to stay. It ends with the birth of the little one, Jesus. 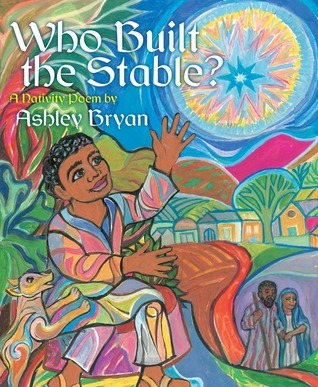 Ashley Bryan’s distinctive style and lyrical language created Who Built the Stable: A Nativity Poem. 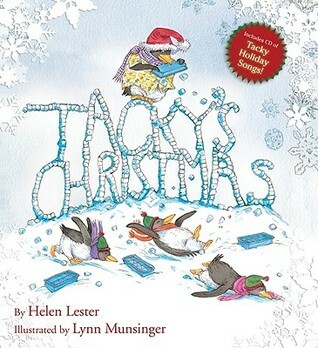 After reading this story, you will want to get out the paint and illustrate your own Christmas poem. 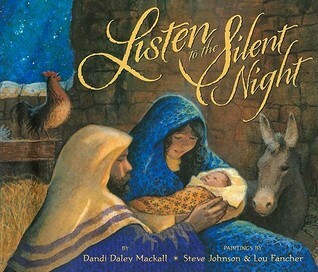 Listen to the Silent Night by Dandi Daley Mackall and paintings by Steve Johnson & Lou Fancer is meant to be read aloud. “Hear the flip, flap, flap Joseph’s sandals made” or “the rap, tap, tap on the inn’s big door” and many other sounds of the Christmas story. The muted illustrations bring a calming effect to a story showing it wasn’t a completely silent night. 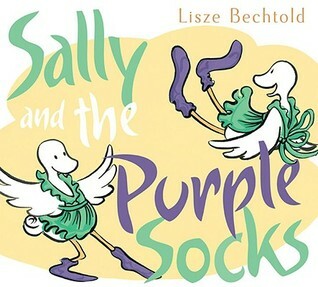 We own several versions – One from my childhood, a pop-up and one from my days as a Book Specialist at Zany Brainy. I know I left out some classics. The Polar Express and How the Grinch Stole Christmas to name two. I anticipate everyone is familiar with these. Do you have any vegetarians coming to Thanksgiving? If so, ML has some ideas on what to serve them from a story about a most unusual vegetarian, Linus the Vegetarian T. Rex. Consider serving arugula, broccoli, and tomatoes. Those are Linus’ favorites. 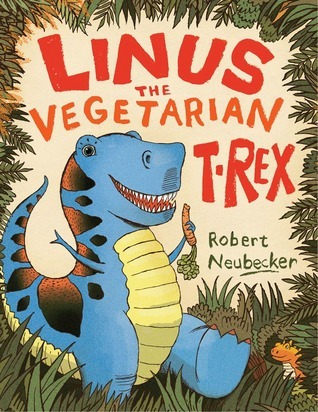 We read Linus the Vegetarian T. Rex two nights in a row. We missed the humor at the end of the book the first night. Look very carefully at the illustration on the last page. Maybe Robert Neubecker has a sequel planned? 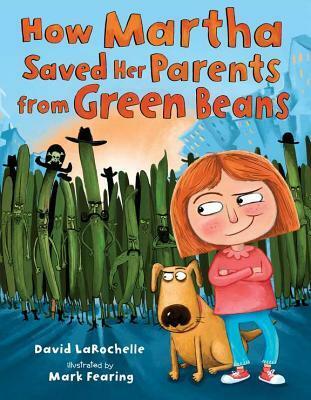 How Martha Saved Her Parents from Green Beans by David LaRochelle and illustrated by Mark Fearing is about a girl who despises green beans. Every Tuesday night her parents serve green beans assuring Martha they are good for her and will make her big and strong. Martha just stares at the green beans. One day her parents are kidnapped by a gang of green beans. Martha spent the evening enjoying pizza, cookies, chips, and lots of juice boxes. When she woke up, Martha realized she missed her parents. She knew just what to do. She hunted down the green beans and ate them. From that day on, her family never had green beans again. Instead, choosing items everyone liked. Corn, broccoli and a nice leafy salad. The salad looks suspicious at the end. That one may be off the table soon. I am fortunate ML is not a picky eater. However, there are two foods she hates – sweet potatoes and avocados. She also goes through stages where all she wants to eat are certain foods. Right now it’s sugar snap peas, blackberries, kiwi and cheese. It will be something else in a few weeks. By the end of last winter she didn’t like clementines. However, she’s being eating three a day recently. Recently ML asked, “Can I try a little of your avocado?” Then, she preceded to spit it out. I’m glad she was willing to try. And I’m ok with the fact she doesn’t like it. I’m fortunate she likes so many other healthy choices. If you have concerns about your child’s eating habits or want ideas for your home, check out the Ellyn Satter Institute’s web page on How to Feed Children. I found great advice and plan to make some changes to our eating habits. I was most relieved to read the portion in the adolescent area recommending “Teach him to plan and prepare a few super-easy meals. Eating out and using pre-prepared food is okay – it is having the meal that counts.” Made me feel better about our Tuesday night date at Moe’s where kids eat free. It’s a enjoyable, easy, healthy dinner option for us. Plus we always run into someone we know. So it’s an enjoyable social occasion too. I find more about what is going on at school those nights than any other time. Warning! This Book Will Make You Itchy! Oh, the anxiety and paranoia this four letter word brings out in parents.I can’t believe we made it through preschool and 4 months of kindergarten without getting lice. Each year it would go around the school. Then, last year it happened. So when David Shannon’s Bugs in My Hair! arrived at the library, I could relate… somewhat. You see my friend diagnosed it while she was keeping ML. One Easter, Monica had a house full of children all with lice. She’s a neat freak. She became very obsessed learning any and all treatment options and what needed to be cleaned. The end result. . . she hired a lice professional. So by the time I got home from work, the lice professional was at my house treating ML’s very long curly hair. Monica washed all the linens, bagged up all the stuffed animals and placed them in the attic. All I did was write the check. ML was sitting happily on a stool with her hair being comb and treated by a college student. At that point in time, ML wouldn’t even let me brush her hair. It wasn’t cheap. The lice expert said she was paying her way through college with this job. If needed, I will be happy to help support her college education again. You see I have memories of my lice treatment by my mom. I sat on the floor of the bathroom while she combed in the RID. It wasn’t a fun mother-daughter bonding experience. And my hair was shorter and straight. Someone whispered that nasty four letter word at school today. I hope we don’t join the LICE-A-PALOOZA… one of the comical terms from the book about a situation that is not funny to any parent. 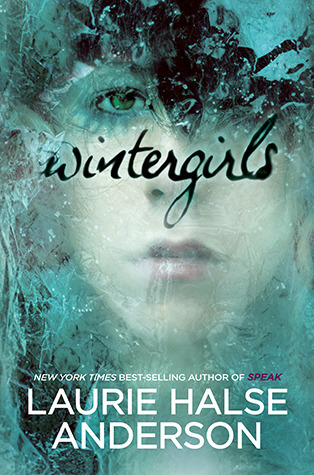 The young adult fiction novel Wintergirls by Laurie Halse Anderson haunts me. It’s the story of Lia an eighteen-year-old girl suffering anorexia nervosa. On my daughter’s first Thanksgiving in 2006, I ate a cold slab of turkey with stuffing from a box and gelatinous cranberry sauce from a can. The year before, my husband roasted an organic turkey to perfection. I cooked my mom’s cornbread dressing recipe, truly a labor of love. My father-in-law contributed his homemade cranberry sauce. Why the difference? I was a patient on an Eating Disorders Unit in a local hospital. I didn’t have food issues. My issue — extreme anxiety overtook me following the birth of my daughter in early October. The Sunday before Thanksgiving, I called my brother at 6 a.m. His groggy voice answered the phone, “Hello.” I blurted out, “I need to go to the hospital.” Still half asleep he asked, “Why?” My response jolted him awake, “I want to be murdered.” The anxiety had morphed into intrusive thoughts. I was terrified I might hurt my daughter. I didn’t want to be the next Andrea Yates. After hours of waiting and the intervention of one angry sister-in-law, I was admitted to the hospital. As a medical resident at Duke, she knew the system. They were waiting for my health insurance to agree to pay. She assured them we would pay for a night’s stay out-of-pocket if necessary. The general crisis ward was full. The attending physician had a choice; the chaos of the psychotic floor or the relative peace on the Eating Disorders Unit. His decision forever changed Thanksgiving for me. I’ve since learned my first experience was typical for admission to any psychiatric facility. . . shoe laces removed, bag searched, sharp objects taken away. Afterwards, I was shown my room and introduced to my 17-year-old roommate. This reinforced a bias. I thought eating disorders were an adolescent girl thing. They aren’t. The patients on the unit were women ages 17 – 53 and a 23-year-old man. Next, restroom procedures were explained. This isn’t typically done on a crisis psychiatric ward. However, on an eating disorder unit the restrooms in each room are locked. When I had to use the restroom, I walked down the hall or pushed the nurse call button. A nurse would come as quickly as they could to unlock the door. Sometimes all the nurses were helping others; they couldn’t run down the hall immediately. Unlike the patients suffering anorexia nervosa and bulimia, I wasn’t monitored. I didn’t have to place a toilet hat under the toilet lid so my outtake could be measured. Thank goodness. I was suffering from c difficile, an intestinal issue. Being watched would have embarrassed me. Life on an eating disorder unit is regimented. Meals and snacks are eaten at regular intervals. I ate alone in the day room. The other patients ate together in a small room. After meals and snacks, they joined me in the day room for post-meal observation. A time when patients are observed so they don’t give in to urges to purge or exercise. This time provides patients with distraction and support during the very difficult period of having to endure the feeling of being full. Anxiety is usually high during and after meals. Supervision, observation and support are essential to help patients get through this tough period. Anorexia Nervosa and Bulimia Nervosa have commonalities with what I was experiencing. Obsessive thoughts about food plagued these patients. Obsessive thoughts about other things plagued me. I obsessed about the ratio of baby formula to water; making certain to level the scoop with a knife. The scariest thoughts started with the fear I would drop my daughter. Right before I was hospitalized, I panicked every time I saw a plastic bag. The warnings about keeping babies away from them filled my brain. I feared I might forget and put her in one. Every fourth Thursday in November, I give thanks, Once appropriate care was received, I improved quickly. The journey for those hospitalized for eating disorders is long. Not only do they suffer mentally, their body is shutting down physically. As a nurse told me last year, working on an inpatient eating disorders unit is hard. There are success stories; but often you see the same people again and again. Each time they arrive, they are a little worse than the last time. As we remember those less fortunate this week, remember those struggling with an eating disorder. A holiday that revolves completely around food is one of their worst days of the year. So why did I state at the beginning of this post Wintergirls by Laurie Halse Anderson haunted me? The teenage character in the book suffers from anorexia nervosa and also cuts herself. I’ve met her. She was my roommate. To learn more about anorexia nervosa and bulimia nervosa and how to get help for those suffering check out the links to the resources below. I know it’s not even Thanksgiving yet. But I’m ready to provide book recommendations for holiday shopping. When ML, was in preschool, the school adopted a family each year. One year there were 4 children in the family ages seven and below. The Scholastic Warehouse is near our home so I’d already stocked up on books for birthday parties throughout the year. ML and I went through the box and picked out fifteen books for the family. Our local bookstore, Quail Ridge Books, has an angel tree with first names and ages of children. Last year, ML chose a name and picked out a book for us to purchase. We’ll do it again this year. …I may have the answers for you. Send me the details on your hard to buy for people and I’ll post some ideas. Report cards went home this week and parent-teacher conferences are in full swing. The request for books at a certain reading level will increase exponentially at the library in the next few weeks. I’ve been trying to write a post about reading levels for months. It hasn’t come together. It’s an important subject; so I am glad a coworker is letting me post the text from her recent blog entry Grow a Reader. Her blog can be viewed at EatReadSleep. Droves of children are being corralled into narrow compartments called “reading levels,” which are numbers or letters that someone, somewhere decided can accurately describe how your child is reading at this moment in time. Schools jumped on the bandwagon, painting the entire school library in red, blue, and green stickers, assigning points to books that should be read for their own sake, and filling children everywhere with unwarranted pride or shame. Every classroom has a poster displaying each student’s level and point count, and the high-level students learn to consider reading as a means to power, while the late bloomers learn to hate reading forever, nipping in the bud any chance that they could later become very proficient readers themselves. Parents who want their children to succeed sometimes force them to read only at or above the level that the teacher gave them, not realizing that this instructional level is the level at which the child is struggling to learn, not the level at which they can enjoy reading fluently and develop a love of reading. It is such a shame to see children skipping over books that should be a precious part of childhood because Accelerated Reading has placed them at a lower level—or, for competitive children, assigned them too few points—only to read advanced books that they cannot appreciate, since they were written for older children. It is not just the difficulty of the vocabulary that makes books appropriate for a certain age. More importantly, the difference lies in the emotional maturity and life experience of the reader. The book that would have been perfect for the eight-year-old is missed forever while she reads a book written for a twelve-year-old. She can read the words in the book, but she is not equipped to think like a twelve-year-old, and so both books are lost. If there is one issue that saddens the children’s staff in a public library the most, this is it. Hopefully, my posting explaining the different leveling systems will be ready for publication the next time report cards go home. Once again, thank you to Cheryl. Her blog post, Grow a Love of Reading provides other valuable information about helping your child to enjoy reading. Check it out! 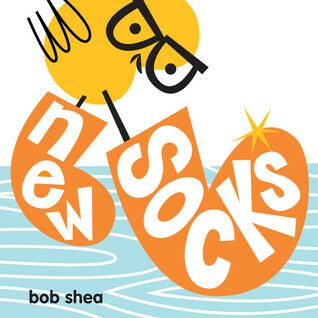 It wasn’t until we had two openings for library pages, I realized how many picture books are about socks. Who knew? And what exactly are library pages? It’s the library term for the people who shelve the books. Learning to put on your own socks is an important developmental step. 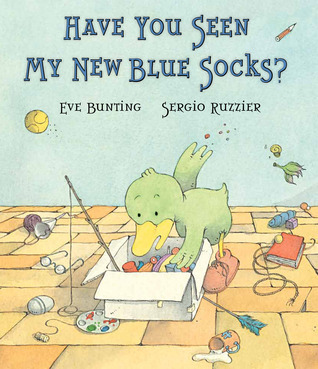 Maybe publishers think reading silly books about socks makes learning this important task more fun. Below are the books I discovered. ML enjoyed all of them. 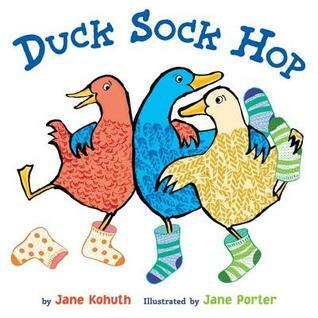 If you think this is a lot of books about socks… look at how many of the books feature ducks. Five! 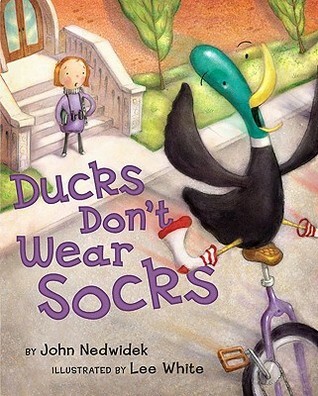 Ducks as children book characters have to be right behind bears in popularity. What do you think are the top five animals used as picture book characters? 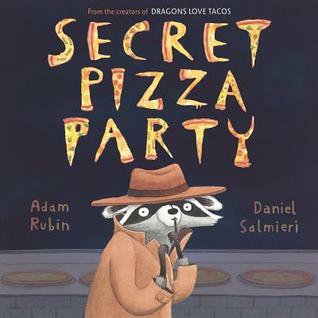 There’s no specific reason I love this book but a combination of things. The main character works in a library, loves gardens, and travels to far away places… all things I have enjoyed. Though she traveled more than I… and the places were more exotic. Below is an excerpt from the book. It takes Alice (Miss Rumphius) many years to reach that goal. It’s not something she planned. The idea for the beauty she spread was a result of being infirm in her bed for a year. While in bed she wasn’t able to plant flower seeds. The wind and birds removed the seeds off her dying flower stalks. New clumps formed over the hill. 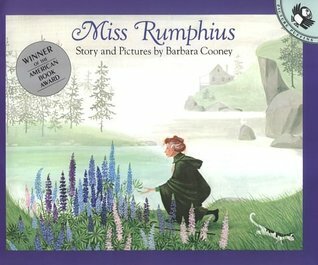 One day Miss Rumphius felt well enough to take a hike. When she saw the flowers blooming, she realized how she could make the world more beautiful. I am getting older but still unsure what I will do to make the world more beautiful. I have a feeling whatever I do to make the world more beautiful may be a little eccentric and I may be called “That Crazy Old Lady” too. Like Miss Rumphius, I got my idea as a result of being ill. Just need to build my strength before climbing ladders. Let me know if you want to be put on the schedule. Actually, I am not sure about the beauty it will give. Unless less cussing makes the world more beautiful. Low battery sounds and cussing go hand in hand, especially in the middle of the night.